Amazing Gyroscope | Experiment with a spinning top and gyroscope! Balance a gyroscope on a tightrope! Demonstrate the laws of motion to others! Experiment with a spinning top and a lightweight gyroscope to learn about the physics of motion, force and gravity! From smartphones to telescopes, gyroscopes can be found in many places around the home. Learn some principles behind their behaviour! 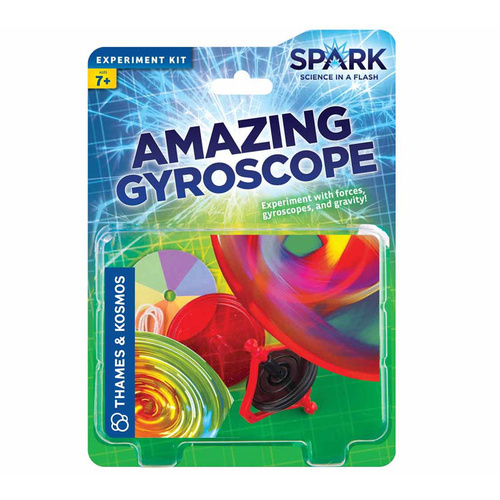 Make the gyroscope balance on a tabletop and on a string, it's a really fun experiment for the whole family to enjoy! How long can you keep it spinning? Try putting the coloured pattern card on top to observe how it moves. You can also experiment with the centre of gravity of a butterfly! Watch it balance on your fingertip like magic when you tape two coins to the underside of it's upper wings! 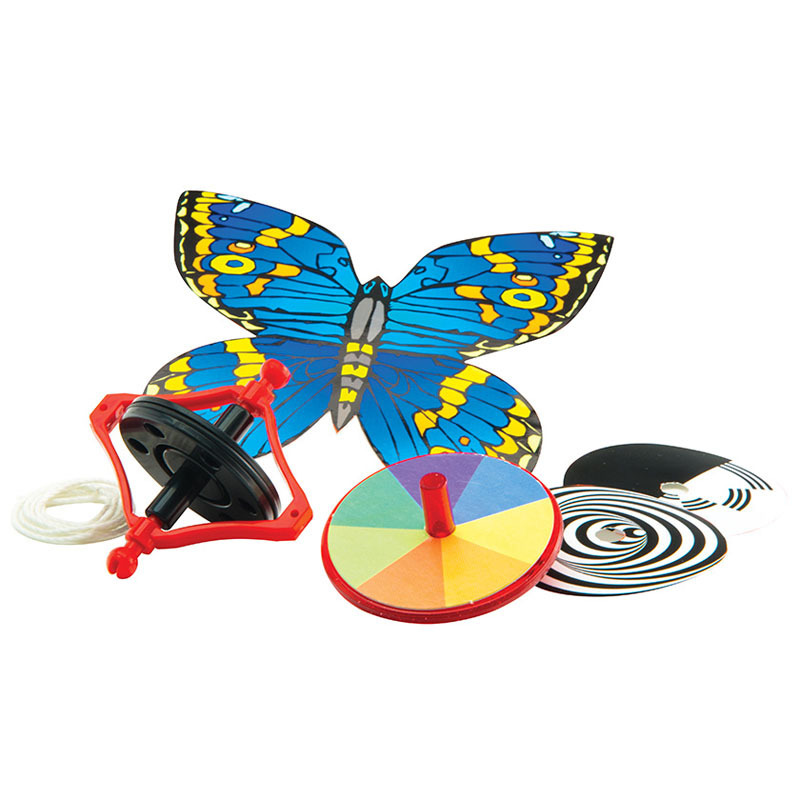 Your kit contains: A gyroscope, spinning top, string, a balancing butterfly card and coloured pattern cards to complete 3 experiments. Also required but not included are some sticky tape, two coins and some further string or yarn. "My daughters favourite experiment from this set was the paper butterfly. The bright demonstration wowed the children like a magic act!" "This was great for a rainy afternoon around the kitchen table, the children all made their own predictions about what would happen!" Packaged dimensions: 25cm (h) x 17.5cm (w) x 5.5cm (d). Includes a full-colour 8 page illustrated instruction manual.